Unfortunately, most conventional doctors are not trained in the treatment of parasites. It is only when parasites are visually seen that American doctors will suspect them, which requires a horrific case. There are many symptoms of parasites that people express in daily life, believing that these are completely normal. While sickness has become normal in the modern lifestyle, it does not have to be. 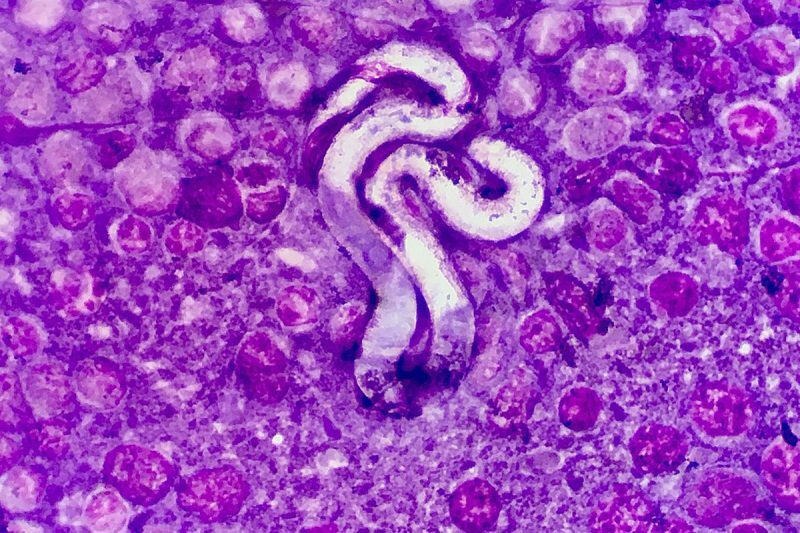 The amount of damage that can be caused by parasites is virtually limitless, because many are small enough to travel anywhere in the body through the bloodstream. They exist by robbing the body of nutrients. Parasites are the root cause of Lupus, with all other symptoms being secondary to the parasitic infection. Therefore, Lupus cannot be cured without a parasite cleanse. Of course, Lupus is said to be just another “incurable disease” and an “autoimmune disorder,” according to the conventional doctors. Heartworms – It is extremely rare for these to occur in humans. In the few cases which have been seen, they usually occur as a single worm in the lungs, rather than the heart. They cannot be spread from one animal (or human) to another, but must be spread through mosquitoes. Diatomaceous earth is the best natural anti-parasitic medication. It is actually an all-natural pesticide which does not harm humans or pets. It is believed to kill insects, worms and parasites by dehydrating them. When used on ants, it usually takes around 20 minutes before they are all dead. One tablespoon of diatomaceous earth taken by an adult once a day for seven days is believed to be extremely effective at killing all parasites. If this is going to be given to children, bear in mind that height is a better indicator of the size of their G.I. tract than their weight. Thus, a child who is 4 feet tall should take 2 teaspoons, and a child who is 2 feet tall should take 1 teaspoon. If you take this route, we advise you to only buy food grade. Industrial diatomaceous earth is used for swimming pool filters, but it has been chemically treated, and this type is not safe to eat. Try to avoid rubbing it onto your hands, as it can have a drying effect upon the skin. Diatomaceous earth contains heavy metals as part of its mineral content, but it also contains the natural antidote, selenium, which allows otherwise accumulative heavy metals to be flushed from the body. Therefore, it is not really a health concern despite the presence of aluminum and lead. We recommend taking selenium supplements for a week after discontinuing this treatment to ensure that the body thoroughly flushes all of the heavy metals. Our research indicates that diatomaceous earth is the best overall parasite treatment for humans, because it should likewise kill all microscopic blood-born parasites as well. When using it, be sure to drink plenty of fluids, because it will dehydrate a person considerably.